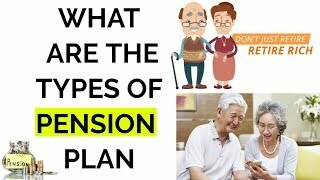 58-million people in India are living without pension or any other form of assistance, civil society organisation Pension Parishad has said. Citing the State of Pensions in India Report 2018, Economist Prabhat Patnaik said the Central government spends as little as 0.04 per cent of the GDP for its flagship Indira Gandhi National Social Assistance (IGNOAPS) programme for ensuring income security for the elderly. A pension is a form of investment or savings plan designed to provide you with an income to live on when you retire. There are many different types of pension arrangements available, from state pension schemes offering limited financial support in old age to private pension plans giving you the freedom to build a larger fund for your retirement.